Makeup and Modifieds: Sweet Mornings. I was recently reminded the simple act of having a morning routine. I've always been the girl who would wake up turn on some music, make a tea or coffee, and just enjoy the quiet before beginning the day. And when we first moved into our home, nearly 2 years ago, I had a set routine. I became a morning person - and I loved it. My mornings were my favorite because of how simple they were and how mindful I was of the short time my coffee and I had together. But then, I started Cosmetology school and I had to change my whole routine. Getting up at 6:30 to be to school by 8 does that. And the only morning time I had was sunday and monday mornings in which I chose to sleep in since I was lacking in sleep the rest of the week. Now that I'm 6 months out of the "school routine," and I can set my own schedule, which lets be real, is the best part about my job, I have begun to establish a small routine for myself again. The morning sun and I are becoming friends again and I'm not complaining one bit. Wake Up and get attacked by puppy kisses. Let the Dog outside & make the bed while he is doing his thing. Light some incense & turn on our himalayan salt rock lamp. Make Coffee & Feed the Dog. Enjoy my Coffee & Do my morning devotional. It's been a while since I've truly enjoyed my mornings. 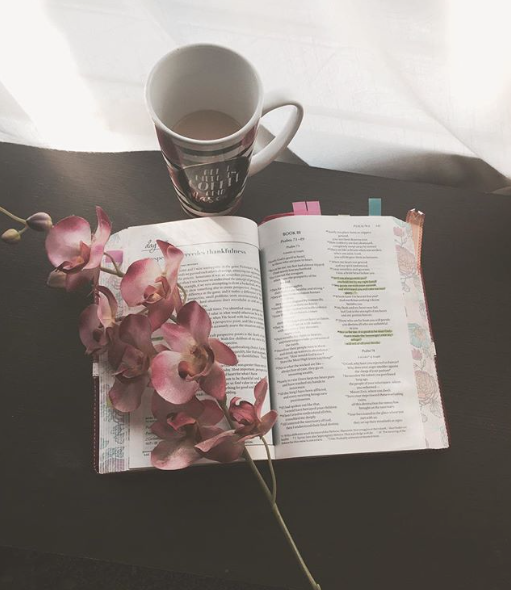 I'm learning that it's not just the routine I missed, between enjoying a hot cup of coffee and doing my devotional..It's Me that I missed. Ever so often I get the glimpse of "there she is" smiling back at me; and that's easily become my favorite part of my mornings. Have I mentioned I am falling in love with blogging again? That's become a morning ritual of mine as well - remembering why I started blogging. Missed my last post? HERE! 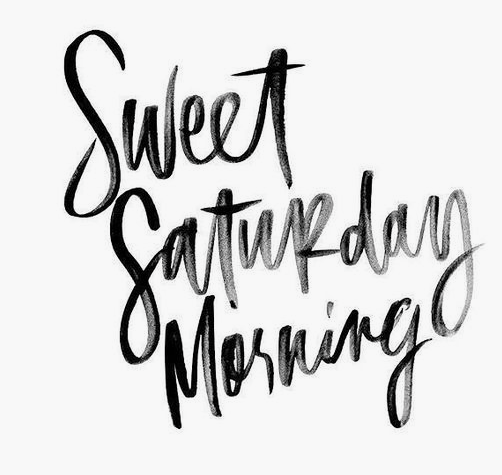 And with that, it's time to enjoy the rest of my morning before our crazy saturday begins here in a overcast and cold San Diego! Always Remember to Be your Own Kind of Beautiful & Love, Love, Love!